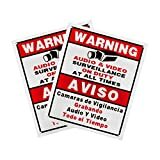 These 12 in x 16 in security camera warning signs are weather resistant and made from a sturdy plastic material. 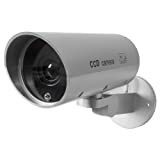 This silver bullet dummy camera is battery powered (batteries not included) and features a motion detection sensor with an activation light. 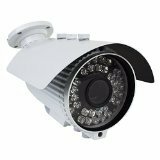 When powered on, the dummy camera will pan left to right and the red LED will turn on when someone passes in front of the sensor. 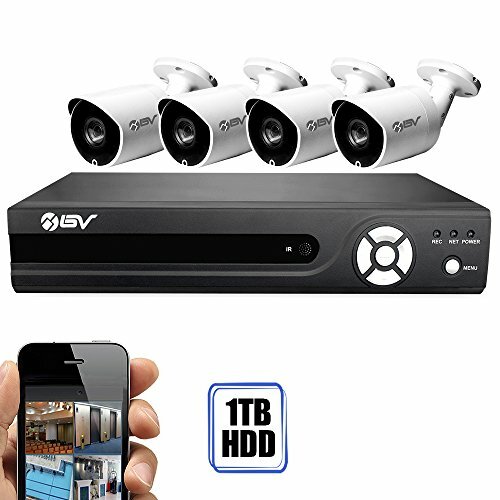 The camera can also be manually tilted to face straight ahead or at a downward angle.